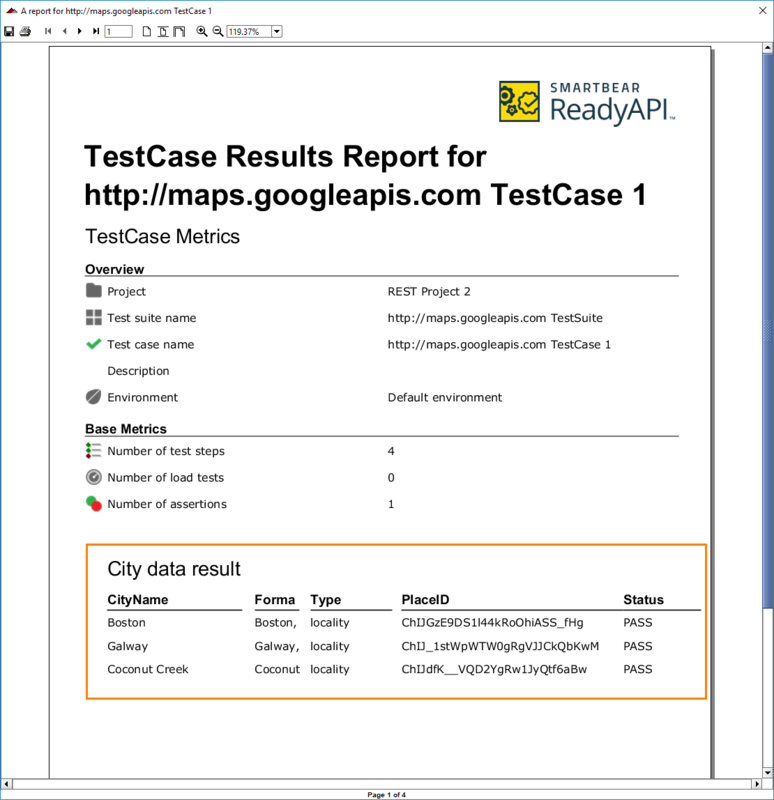 To add the test data ReadyAPI collects to a printable report, you need to include the subreport in the main report. Select Project > Reporting from the main menu. Switch to the Subreports tab. To add a new custom subreport, click . Enter the subreport name – CityDataResult. Select the TESTCASE subreport type. Select the <custom> subreport data source. Select the Empty Template subreport template. This creates a tabular layout. The names of its fields and the names of data sink step properties are identical. Switch to the Available Reports tab. Click to copy the existing Test Case Report report. Click to change the name of the copy. 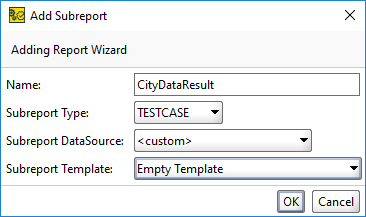 Here you add the CityDataResult subreport to the report template and fill it with the data sink data. dataSourceExpression should match the name of the data sink test step. 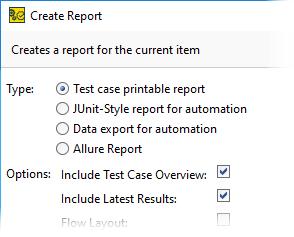 Now you can create a test case report. Switch to the test case page. The Create Report dialog will appear. In the Type list, select the template you have modified. Click OK to finish the creation.